Think back to a time of innocence when your sneakers could barely reach the sticky floor as you sat down to watch a full-length cartoon movie in a darkened theater. The mixture of aromas from warm artificially buttered popcorn and stale red vines wafting throughout the musty old movie house. Your eyes growing wide as saucers as the curtain rises on the big screen and your ears perk up when the sound system crackles to life. At the start of your 90-minute escape from reality, your senses are delighted by a succession of colorful images accompanied by a series of catchy show tunes working their way into the nostalgic memory epicenter of your brain. In these moments of cinematic joy everything about your childhood is floating along on the waves of a smile when all of a sudden, your heart drops. It hits the ground at a hundred miles per hour as if someone tied it to a boulder dropped from the top of the Empire State Building. Why? Because you’ve just experienced the soul-crushing agony that can only be experienced by watching an emotional kamikaze, otherwise known as the animated Disney movie! For almost a century, the Imagineers at The Walt Disney Company have brought to life some of the most magical characters to the delight of children of all ages. For every Disney movie, there is a hero and song lyric that one or more human beings on the face of planet earth can quote or sing. And for every lighthearted infectious tune, there’s a gut-wrenching tragic loss or banishment that has rendered young and old into pitiful piles of snotty nosed, blindingly teary-eyed rubble. Here’s a question that has kept me awake at night. Just how hard is it for the writers, animators, and composers to get together in a well-ventilated room and create a story that doesn’t make me regret the day I gave up sucking my thumb whilst curled up in a blanky? Disney movies know how, when and where to hit the audience when it’s time to trigger an ugly cry. Just when you thought you couldn’t float any higher by laughing harder or clapping louder, BOOYAH! They pop your balloon whilst your emotions plummet at the speed of light. Yet oddly enough, we keep come back for more. Are we gluttons for punishment? Have we become addicted to some form of mass hysterical sadness and enjoy sadistically subjecting ourselves to pain? Naahh, we just have an affection for story telling as told by story tellers who understand the difference between spinning a good yarn and sharing a fantastic tale as old as time! If when you see the trailer for an upcoming release from Disney that instinctively causes you to start preparing in advance, some flimsy excuse to explain away your swollen red eyes and constant sniffling by the end of act two, friend you are in good company. I wanted to write this article in response to a story picked up across multiple social media channels last year, as it pertained to the responses that Tom Hanks and Tim Allen had to the script for Toy Story 4. In both instances, these grown-up men were described as having struggled to get through the actual screenplay as a result of some emotional turmoil the story had inflicted. What the actual heck? It’s one thing when an actor is paid to shed tears as part of their character’s direction. But the reports indicated that the fellas were responding to the scenes in question, from the audience’s point of view! I could only imagine what it was that they had read to cause that kind of nerve damage. It got me to thinking about what it must have been like for the voice actors of animated Disney movies throughout history who quite possibly could have reacted in the same way. From this, I thought of a handful of movies from the Disney library that have succeeded in shaping me as a nerd and scarring me emotionally for life. Nothing spells destroyer of young souls more than the one that started it all. Imagine being buried under an avalanche of the cutest and fluffiest stuffed animals, then watching all of it spontaneously combust. 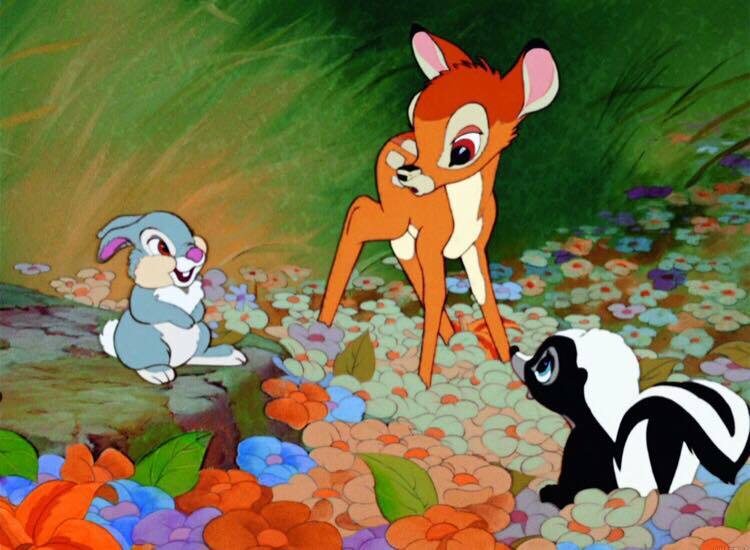 Bambi is a masterfully visual movie with a gorgeous symphonic soundtrack. Disney’s animated coming of age story about a young deer who learns life lessons about love, friendship and the brutal reality about never trusting the man, especially during hunting season, could very well have given impetus to the vegan diet movement of today. If after watching this film, you still find yourself replenishing the A1 Steak Sauce in your house, for shame! I saw Pinocchio when I was 4 years old. The day my sister took me to see this movie, all I wanted to do was enjoy my happy meal, watch a cute story about a mischevious puppet boy and then get on with my life. Instead, I got dragged through a cinematic odyssey that included kidnapping, lying, facial disfigurement, human trafficking, and drowning. 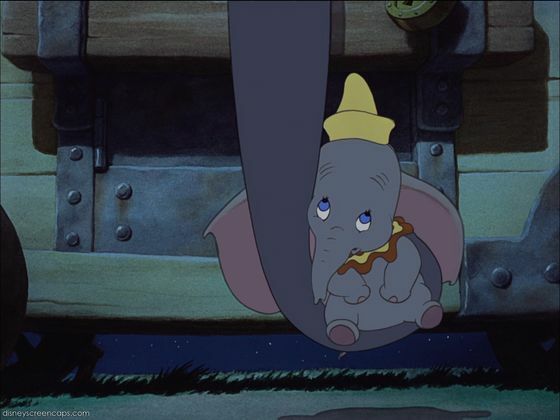 By the time Jiminey Cricket started crooning all that jazz about wishing on stars, my sister had to carry my hysterically sobbing toddler body out of the theater and on to a city bus, awkwardly explaining to bewildered fellow passengers that we had just seen a Disney movie. 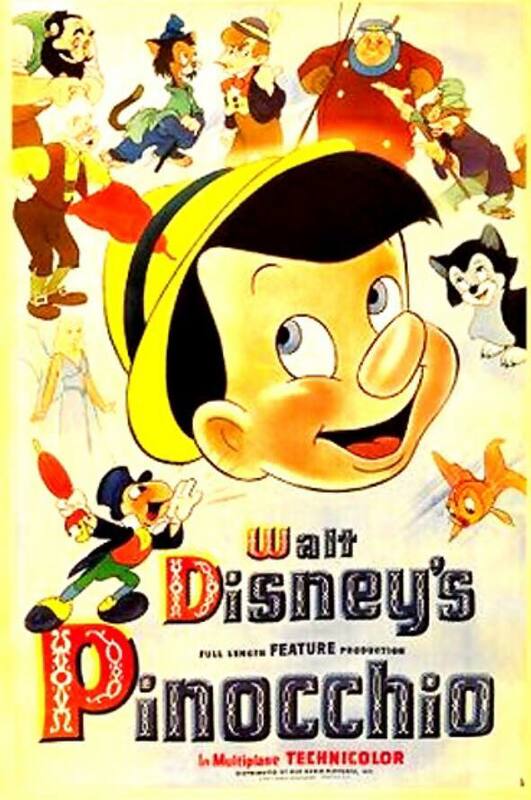 In total, I’ve probably watched Pinocchio 5 times over my lifetime. Did it get any easier to watch during the four extra viewings? No, the answer is no. And yet, I cannot resist the urge to snuggle the plush toys whenever I’m at Disneyland. You’d think after having endured the likes of the previous 2 movies mentioned, I would have learned my lesson by the time The Fox and The Hound came ‘a knocking at the theater door. Nope! No child of the late 70s or of the 80s in their right mind would EVER turn down an animated movie, let alone the Holy Grails of Disney. 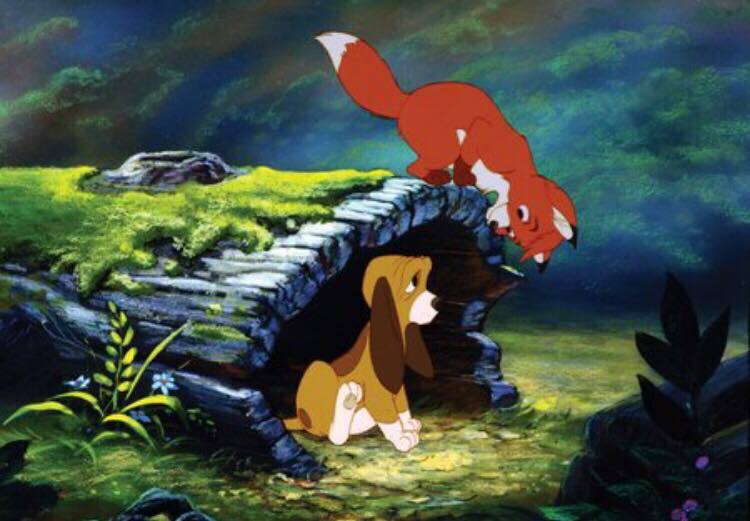 I was also obsessed with puppies so show me a cartoon movie poster that features a hound dog puppy and a fox kit and I’m as good as spending the night in front of the theater to wrap my eyes around that one! But buyers remorse set in the minute I heard them both professing their undying friendship to each other as kids. Here’s a dog bred for the hunt and his best friend unintentionally born (and abandoned) as the prey? Who is sitting around thinking this stuff up? More importantly, WHY would someone conceptualize a story that could make another person feel like they are actually going to die from crying? I literally begged to leave about a good 45 minutes into this movie. By the time I rounded the bend and reached the ending where Copper the hound dog had committed himself to taking a bullet intended for Todd the fox, a pulsating vein from stress, running across my forehead had reached critical mass. I’m pretty sure that after watching The Fox and The Hound I was the first kid in history who had ever asked to take a nap on a Saturday. 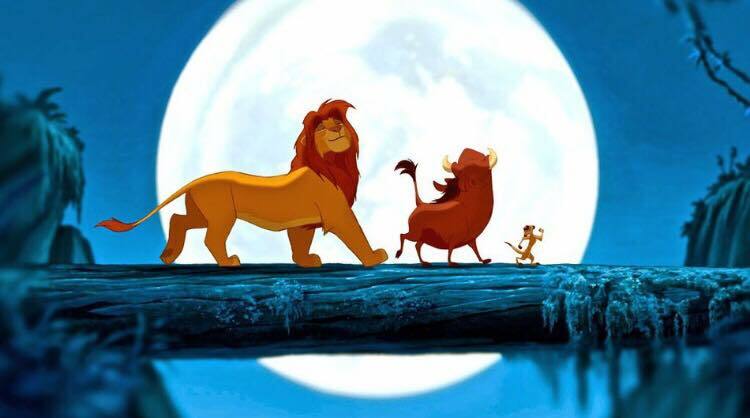 By the time Simba and company had entered the playing field, I had acquired more than enough age, wisdom, and PTSD to ensure that this was a flick to skip. If the very marrow in your bones doesn’t vibrate while Circle Of Life plays during those majestic opening scenes, it might be time to make an open confession to Dr. Phil, that you feel nothing. I knew straight away that TLK was at some point going to take me back to a dark place of sorrow. James Earl Jones and a soundtrack featuring Elton John?? So I pretended like I had seen it when everyone around me had raved about it. I thought I was safe until I became a nanny and one day the kids I looked after had wanted to show me a movie. Have you ever been allergic to cats and pinched your nose to suppress the sneezes? I know I ruptured something internally when I held back the cry I felt when Mufasa died. Unlike everyone else, I was not placated by the bumbling comic relief of Timon and Pumba. Witnessing the death of a Disney parent is not something you just move on from with the singing of a song and the eating of bugs. But I didn’t want to scare the kids who were with me so I just dialed into one of the self-help episodes of The Oprah Winfrey Show I kept in my mental file cabinet and rallied myself through to the end. It is safe to say that Disney’s Pixar box office run has to be one of the most successful symbiotic relationships in the history of film. The transition from old school cel animation to contemporary 3D animation may have visually altered the way we see these movies. But apparently, the ability to rip a tear duct from ear to ear is still very much alive and well! Finding Nemo opens on not just the death of his mother, or the loss of several hundred unborn siblings, but also an injury-induced birth defect to the title character, thereby wiping out any chance you may have thought you had of watching this movie in relative emotional peace. He’s raised by a single parent, then goes missing, presumably dead. 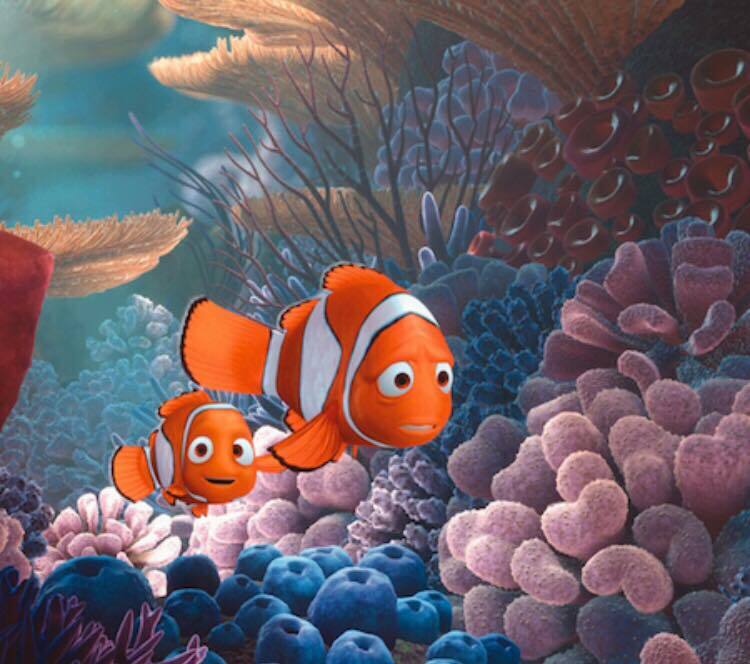 As if the tragic lake of trauma hadn’t been fished dry, Nemo’s determined father enlists the aid of a mentally challenged companion to help find him. Do you know why I let my guard down with Finding Nemo? Because prior to this I had seen The first 2 Toy Story movies, A Bugs Life and The Incredibles. Know what those four had in common? Nobody died!! Not even that dirge by Sarah McClaughlin could break me! I thought I had hit the jackpot. I even went as far to leave my Kleenex and Xanax at home under the assumption that I could. There is no exhaustion quite like the emotional exhaustion that can wear you out from a Disney movie and that drain is made exponentially worse in 3D. I fell in love with what I initially thought that Up was about based on the imagery of a house tied to hundreds of balloons. It was when I learned of what brought the house and balloons together in the first place that led me to lose my faith in the happiness of happy-go-lucky humanity, more specifically the development department at Pixar. By the time I made it to Ellie’s funeral, I darn near thought that movie was over. Who could sit through more after that gut check?? In my humble opinion, the brief history of Carl and Ellie’s relationship rivals anything Nicholas Sparks could ever imagine. 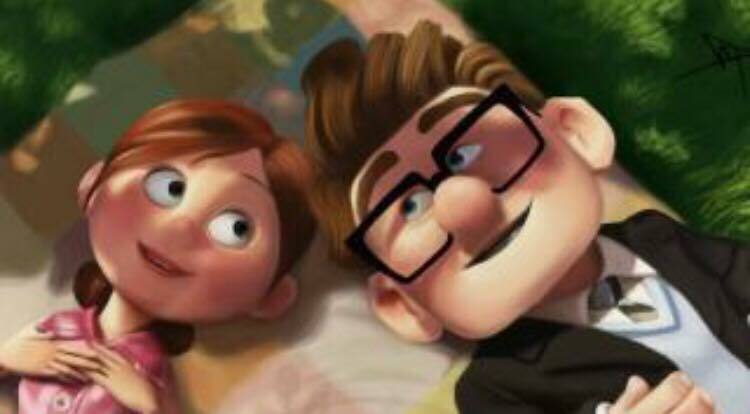 Pixar created an intimate window into a love story that reached about as tragic of a crescendo as there could ever be. After a loss like the one Mr. Frederickson endured, who wouldn’t want to cut ties with society and float away in amongst the clouds? It seems to me that Inside Out should be required watching after you watch any other Disney movies because this kind of experimental cinema therapy is what you need to make sense of what you just saw. Of course your emotions are all over the place and at times at odds with each other! But if this movie is such a self-care love letter, you might be wondering what makes it so sad and why is it included here. Easy answer. The death of Bingbong! Of all the mental characters at the controls in Riley’s mind, you’d think the obvious choice for grief is Sadness. But Sadness herself was an emotion and a response. 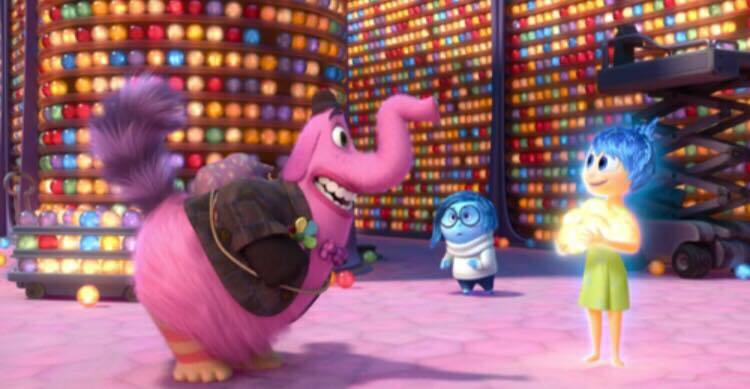 Bingbong was the real star of the show because when he first went away he took with him Riley’s natural ability to connect with Joy! When she had Bingbong she was genuinely happy!! He was cute, cuddly, funny, and her best friend! She even imagined that he smelled like cotton candy because it is a safe scent that most little kids associate with feeling happy! And when Riley all but completely lost her Joy, who came to the rescue and sacrificed the last remnants of her memories of him so that she could find true happiness and learn to love herself? Bingbong, that’s who! Grief counseling, party of 1, your table is ready. 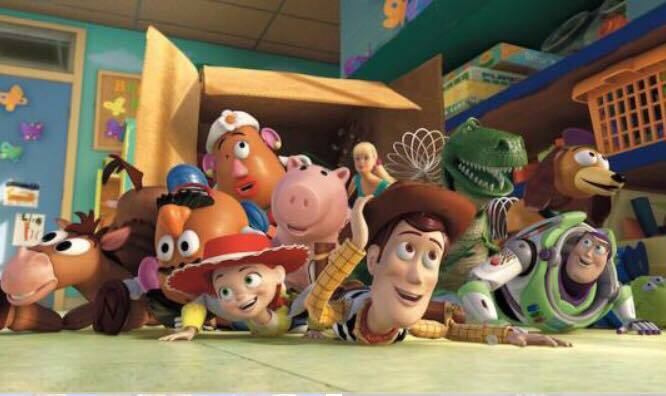 And now it looks like Disney and Pixar want to play good cop bad cop with our fragile emotional state yet again with whatever it is they have in store for us this summer when Toy Story 4 arrives in theaters in June. Of course we the fans will be there to join and enjoy this latest adventure, because why not? The likelihood of crying hard enough to produce enough energy to power a mobile home is a small price to pay for the overall feeling of wellbeing that comes from enjoying a Disney movie. That’s the beauty of Disney animation and one of the many reasons why these stories continuously resonate with audiences the world over. If after watching an animated Disney movie you don’t walk out of a theater feeling like someone smacked you in the face with a stainless steel teddy bear, then what exactly were you watching?